Described an “idea whisperer,” Valaida Fullwood brings unbridled imagination and a gift for harnessing wild ideas to her work as a writer, public speaker and consultant on various projects and events in the philanthropic sector. Her client base ranges widely and her interests center on social innovation in philanthropy, education and the arts. In short, she helps people and organizations drive bold ideas forward by guiding their projects and by writing their stories. Since the release of Giving Back, Valaida is recognized a thought leader on African American philanthropy and community-led philanthropy and is frequently invited by a variety of groups to write, talk and consult on the topic. She is featured in a 2013 TEDx Talk on philanthropy and was selected the 2014 Lake Distinguished Visitor at the Lilly Family School of Philanthropy at Indiana University—the first African American to receive the honor. Valaida was named a 2012 Charlotte Catalyst by Uptown Magazine and the keynote speaker, at the 2013 North Carolina Center for Nonprofits statewide conference, delivering the message: Philanthropy For and By The People. In collaboration with Johnson C. Smith University, an HBCU in Charlotte, NC, she attracted grant funding from the Institute of Museum and Library Services and others contributors totaling more than $240,000 to reimagine the book Giving Back as a multimedia, touring exhibition. Titled Giving Back: The Soul of Philanthropy Reframed and Exhibited, the exhibit is now traveling to college campuses, public libraries and museums, nationwide. A born-and-bred North Carolinian, Valaida has deep hometown roots in Morganton and is a graduate of the University of North Carolina at Chapel Hill, where she majored in International Studies with a focus in Economics. For nearly a decade, she managed international economic development projects for General Electric and other major corporations, living and working overseas prior to establishing a Charlotte-based consulting practice. Her primary passion is cross-cultural and international exploration. Perpetual wanderlust has led her to more than twenty countries, four continents and counting. Closer to home, she throws delicious parties and thrives from social and philanthropic involvement with On Q Performing Arts, as well as the creative forums such as Pecha Kucha. She is a founding member of New Generation of African American Philanthropists—a giving circle that gives back through grantmaking and civic engagement. She blogs, blogs, blogs at valaida.com and enjoys social media connections on Facebook, LinkedIn, Instagram and Twitter at @ValaidaF and @BlkGivesBackCLT. 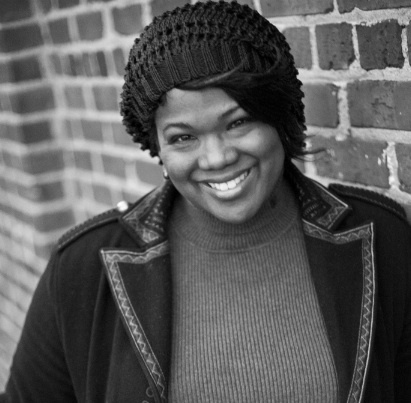 As a writer and public speaker, Valaida enjoys sharing stories and engaging audiences around Giving Back and looks forward to publishing more books.